Go on, admit it. You've said that phrase in protest to something or other in your past. Someone recommends a book. "But I'm not a reader." A friend suggests you take Zumba together. "But I'm not coordinated." Your Language Arts teacher asked you to write a story in middle school. "But I'm not a writer." And so you let the nottas control your life. The truth is we are (and can do) anything we decide to be (or do). It's a matter of choice. Oh sure, there're some genetic limitations that limit an insignificant number of our choices in life. But those miniscule exceptions prove the rule - we can choose to do and be and create! We have the ability to choose what our life looks like. At least have the guts to say, "I choose not to read, dance, or write." For at the point that we admit "we are choosing" we take ownership of our current state. So, if you were not happy with 2011, then you chose not to be happy with it. You didn't read that book, not because you aren't a reader but because you chose not to read it. You didn't write that story, not because you aren't a writer but because you chose not to write it. The good news is that you can do something different this year. And you can choose to be happy with the results. So, what's holding you back? Be someone different this year. Create something. Do it. It almost goes without saying, but when I'm grumpy I have a bad attitude. What this tells me is that my attitude - which can be fairly easily ascertained by my facial expression and body language - is simply an external representation of my internal feelings. If I'm feeling down, my body sags. Doesn't yours? Now it's not any secret that the answer to a bad attitude is a good laugh, a smile, and pleasant thoughts. Why? Because you can't genuinely laugh and smile without a corresponding good feeling. Our feelings have a direct impact on our outward demeanor. The challenge is controlling our feelings. Change our feelings, change our attitude. The good news is that we can control our feelings. We're not at the mercy of our emotional life. Emotions (the well from which our feelings arise) serve as a barometer of what's going on inside of us. And we can change what's going on inside. How? By monitoring our thoughts. Our thoughts affect our feelings which in turn shows up in our attitude. And the best way to monitor our thoughts is by listening to our self-talk. In other words, we need to think about our thinking. This might be a true difference between us and animals. We have the ability to consider our thought process and not just react by instinct (which seems more emotional in nature, doesn't it?) And since we can control our thoughts, we have the ability to influence our feelings and thus change our attitude. That is good news indeed. More on controlling our thinking next time. Personal success requires courage to attempt something great. And that means boldness which is, at times, confused with arrogance. But there's a difference between arrogance and confidence. It has to do with one's attitude and motivation. 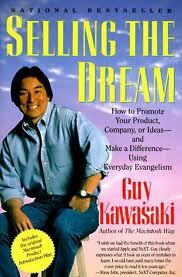 In Selling the Dream (HarperCollins, 1991) Guy Kawasaki explains the difference by exploring the concept of "evangelism." Although I'm inclined to retain a theological definition of the term ("spreading the good news") I can understand Kawasaki's point. He wants to contrast this view with traditional sales. And the main difference is the motivation: To change the world! This is a key to personal success - finding a cause that's big enough for us to jump into and is also big enough to invite others to jump into. What's your crusade? UPDATE: You can now follow Guy Kawasaki on Twitter! ongoing endeavor to make a difference in young people’s lives. Vital to society are women and men who are committed to the vision of providing quality education for today’s students. Now I do not use the term vision lightly. I believe that in any endeavor – whether it be in business, sports, parenting, teaching – without a vision of some greater good to be accomplished, without a vision of a better or preferable future, then the sustainability of that endeavor diminishes with time. Novelty, freshman enthusiasm, excitement at the beginning of the journey will eventually wane. Although mountain top experiences, renewal conferences, and rewards for jobs well done are all very important, it is the vision of what you want to accomplish with your life or your career that keeps you in the game until the job is done. The challenge for many people is that they do not have a vision big enough to sustain them long-term. Most people are living too shallow a dream, so no wonder they’re frustrated when the initial enthusiasm wears off. A big vision will answer that challenge. You’ve heard this quote. The saying has been attributed to Victor Hugo, "Dream no small dreams. They have not the power to stir men’s souls." The bible puts it like this: "Without a vision, the people perish." I want to make the case that assisting in the maturation process of young adults into healthy, well-rounded, individuals who can better society because of the skills you as a teacher handed down to them is a worthy vision to embrace. Let me repeat that. Assisting in the maturation process of young adults into healthy, well-rounded, individuals who can better society because of the skills you handed down to them is a worthy vision to embrace. Almost everyone familiar with self-help is aware of Anthony Robbins and NLP (google it if you aren't). I was skeptical before reading both Unlimited Power (1986) and Awaken the Giant Within (1991) but was impressed with the practical, no nonsense principles that Robbins espouses. Although sprinkled with Christian verbiage and a bit of God-talk, I didn't catch Tony syncretizing religious beliefs, at least not in these books. I have not kept up with his current work to determine if he's maintained a "Norman Vincent Peale" approach to faith and self-help or not. The books are very practical, full of great exercises, and with too many ideas to summarize with one quote. But I did find his explanation of our Reticular Activating System (RAS) helpful in Awaken the Giant Within. This makes more sense to me than magically "magnetizing" wealth into our lives (like The Secret advocates with the Law of Attraction). Simply put, the RAS works because when we focus on a question or problem our mind becomes engaged to find solutions. An example is when we car shop. We never noticed lime green VW Bugs before, but now that we're buying, everyone is driving one! That's your RAS at work. So, if you're looking for an indepth analysis of the connection between our beliefs and our actions - along with practical steps to take for improving yourself - Robbins has a lot to offer in these thick books (both over 400 pages). Read with discernment, but go ahead and pick one up from a used book store. Positive self talk is critical for personal development. This set of daily affirmations originally comes from Harold Sherman, author of How to Turn Failure into Success. This "code of persistence" was copied from another source, however, and I'm not sure where I found it. Great statements to memorize though! I will never give up as long as I know I am right. I will believe that all things will work out for me if I hang on to the end. I will be courageous and undismayed in the face of poor odds. I will not permit anyone to intimidate or deter me from my goals. I will fight to overcome all physical handicaps and setbacks. 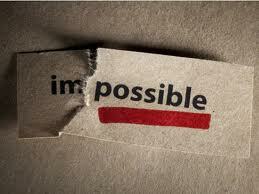 I will try again and again and yet again to accomplish what I desire. I will take new faith and resolution from the knowledge that all successful men and women have had to fight defeat and adversity. I will never surrender to discouragement or despair no matter what seeming obstacles may confront me. For those who are interested, I have linked solid scriptural principles to each of these statements and turned them into biblical affirmations as well. Email me and I'll send the references to you. This is explained in Part I - how each of us is conditioned to think and act a certain way when it comes to money. Our thinking has been programmed by the attitudes and actions of people that have influenced us, typically our parents. But the good news is that we can implement some key strategies so that we can revise our mental money blueprint. Part II examines the differences between how rich, middle-class, and poor people think. And it's true, we think differently at different socio-economic levels. The author then provides 17 attitude and action exercises that will lead to a change in our thinking and thus a subsequent change in our financial life - if we take action! The basis for this change - any change really - is this simple formula: Thoughts lead to Feelings lead to Actions lead to Results. The challenge is to change our thoughts - and this is done by re-programming what we think and believe about wealth and money. We've already been programmed by our past. Let's take control of our thinking and re-program our minds so that our future isn't simply a repetition of the past. 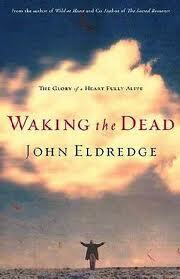 Like most other books of this nature, the author's strength is practical in nature not theological. He mixes a bit of God talk in for good measure but doesn't provide a solid biblical basis for his thesis. The scriptural arguments exist, but T. Harv Eker is not biblically equipped to deal with them. This is unfortunate as many who are seeking help here from a spiritual perspective will come away with something less than satisfying. But, that being said, the principles he espouses are solid and (can be) life changing. Write a Spring-related post (mine is below). Find & link to three other Spring-related posts. Add the Think Spring button/code to your blog. Then comment at RoseWoman, the meme host. Christ has indeed been raised from the dead, the firstfruits of those who have fallen asleep. For since death came through a man, the resurrection of the dead comes also through a man. For as in Adam all die, so in Christ all will be made alive. But each in his own turn: Christ, the firstfruits; then, when he comes, those who belong to him. Then the end will come, when he hands over the kingdom to God the Father after he has destroyed all dominion, authority and power. For he must reign until he has put all his enemies under his feet. The last enemy to be destroyed is death. For he "has put everything under his feet." Listen, I tell you a mystery: We will not all sleep, but we will all be changed - in a flash, in the twinkling of an eye, at the last trumpet. For the trumpet will sound, the dead will be raised imperishable, and we will be changed. For the perishable must clothe itself with the imperishable, and the mortal with immortality. When the perishable has been clothed with the imperishable, and the mortal with immortality, then the saying that is written will come true: "Death has been swallowed up in victory." It is often said that the changing of the seasons is like the cycle of life. There is birth, there is youth, there is maturing, there is death. And then re-birth! We are taught that Spring is the continual reminder that all things are re-born. Nice sentiment as far as it goes. But one day this cycle will end. For the winter of life is actually a disruption of God's good order. Death was never meant to be, as some put it, a "natural part of life." Winter's Death is the enemy, and it will be swallowed up in toto when Christ's eternal Spring arrives at his coming. How like those spell-bound creatures we are. We've come to accept as final this seasonal cycle - as wonderfully refreshing as it may be this side of heaven. But it is not the last word. 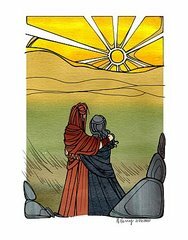 One day death and pain and weeping and suffering and war and violence will end. The last vestiges of sin will be destroyed never to be "re-born" for another season. Eternal Spring will dawn. Christ will reign. Alleluia, He is Risen! Wayne at Q&A titles a piece "All Alone" - I want to call is "Almost Spring"
Barbara at Tidbits & Treasures has posted "No Room For A Savior"
Paint at Play is "Back to Work" with another piece that's almost Spring. Are you thinking Spring? Spread the word. How to set your goals high . . . and then exceed them! These chapter titles will have a familiar ring to them because this book was at the vanguard of the self-help movement we know today. So much of what is written today is based on the principles espoused by personal development leaders like William James, Napoleon Hill, Russell Conwell, James Allen, Les Giblin, Maxwell Maltz, Norman Vincent Peale, and of course, David Schwartz. ... to William Wilberforce in 1796 upon the defeat of his proposal to end the slave trade in the English colonies. Not knowing it would be another 11 years of sustained effort before success, Wilberforce was expressing to his old friend Newton (pictured here) his willingness to consider retirement from public life. Here is Newton's reply, which convinced Wilberforce to stay the course. Daniel, likewise, was a public man, and in critical circumstances; but he trusted in the Lord; was faithful in his department, and therefore though he had enemies, they could not prevail against him. Indeed the great point for our comfort in life is to have a well-grounded persuasion that we are where, all things considered, we ought to be. Then it is no great matter whether we are in public or in private life, in a city or a village, in a palace or a cottage. The promise, "My grace is sufficient for thee," is necessary to support us in the smoothest scenes, and is equally able to support us in the most difficult. . . .
[Christ] is always near. He knows our wants, our dangers, our feelings, our fears. By looking to him we are enlightened and made strong out of weakness. With his wisdom for our guide, his power for our protection, his fullness for our supply, and proposing his glory as our chief end, and placing our happiness in his favour, in communion with him, and communications from Him, we shall be able to "withstand in the evil day, and having done all to stand." John Newton is the author of the hymn Amazing Grace, which also serves as the title to the wonderful film that captures the life of William Wilberforce (see pdf study guide). Traveling heavenward requires a different mind than the way of the world. It is a life marked by service and humility, not greatness and control. This is a hard message to hear for modern day followers of Christ. Jesus would indeed have us experience a vibrant, wonderful life, but first he beckons us to follow him to the cross and die to ourselves so that we can take hold of the new life he offers. The types of books we read reflect how we think about ourselves. Are we constantly in "fantasy land" trying to escape reality by reading novels with little or no moral redeeming value? Or are we learning from history, engaging in personal development, and understanding how money and business works? The types of people we associate with is also critical in how we think about ourselves and even where we end up in life. Take our income level, for example. Add up the annual salaries of your several closest friends and divide it by that number and you'll likely have your annual income. We are who we hang around. What this means is that we generally gravitate toward five broad categories of thinking and living based on the books we read and the people we hang around. According to Steven Siebold (author of 177 Mental Toughness Secrets of the World Class), those categories are poverty, working, middle, upper, and world class thinking. Those with a poverty or working class mentality talk about (and mostly grumble about) the past. They are constantly blaming others for their failures, for not getting ahead, for their bad breaks in life. Could be a boss, a parent, a teacher. They got screwed over by someone and that's why they are where they are at. It's a victim mindset. Those with a middle class mentality talk about other people - comparing up or down and always trying to position themselves a little better than their peers. It's either keep up with the Joneses or it's bragging about their latest toy. The middle class have also deluded themselves into thinking that they are where they're at because of their hard work. Most middle class folks thought they hit a double when in fact they were born on second base. Those with an upper, or better yet, world class mentality talk about ideas. They are always looking for ways to grow, increase, become better, build, influence more, impact more, do more, be more. And so they are reading books that help them think better. They associate with positive, excited people and avoid negative, limiting people. Are you focused on the past, other people, or big ideas? What books are you reading that support the direction you want to go? What people in your life do you need to limit your exposure to? When will you begin to implement the answers to these questions? Self-realization is not a new thing, nor necessarily a bad thing. But Chambers took note of it's dangers nearly 100 years ago. Without God, the self becomes the arbiter of good and evil. This was the sin of the garden. And the same devil tempts us today with the same proposition: "You shall be like God." This is a fundamental flaw in the teaching of the Secret and those who advocate it's doctrines. And note that we are not talking about whether the teachers of the Secret are moral or immoral. I am sure that many who profess to follow universal principles like the Law of Attraction are quite nice and giving people. That is not the issue. The issue is idolatry. Ultimately, the Secret is about claiming my right to myself. If ever we travel within to find ourselves, rest assured, it will be a very short trip. A surprisingly helpful little handbook is God is My CEO by Larry Julian (published by Adams Media 2001, 2002). It's actually a compilation of short chapters on a wide range of business topics by various corporate leaders, sports authorities, and even a former governor. Normally I would shy away from books like this that tie God with politics, business, or sports, but the subtitle - Following God's Principles in a Bottom-Line World - sounded better than the title. It struck a chord with me as this is my desire. I was pleased with the resource. Just flipping through the headings and authors piqued my interest: Tony Dungy (Super Bowl Champ Head Coach) on Patience; Horst Schulze (CEO Ritz Carlton) on Servant Leadership; Truett Cathy (Founder Chick-fil-A) on Priorities; Bob Buford (author of Half Time) on Success. Etc. Okay. Not an instant classic. But a nice gift if you are looking to impact others in a positive way. Summarizing some recent posts with a few key quotes on the various topics I've covered so far in Thought Renewal. Success has to do with living a life of abundance that comes from the hand of God. Communication requires distributing the right words to the right destination at the right time, which also requires receiving the right information from the other person. What excuses are we willing to eliminate from our lives right now so that we can live the life of abundance that God intends for us? Go to the ant for some life lessons. Your luck increases in direct proportion to the extent that you live your life on purpose in a cause that is bigger than yourself. Harnessing our mental faculties for creating positive environs for ourselves and other people is a laudable and attainable goal. In fact, it is a biblical mandate. We haven't been taught that it is a virtue to create wealth for the benefit of our family and others. So we have to teach ourselves the validity of this belief. The Law of Attraction seems to me to be a restating of the biblical principle, "You reap what you sow." Did you know that each one of our beliefs is a choice? Sadly, we've chosen to accept most of our beliefs "without argument." Jesus has a clear goal in mind for each of our lives and has a plan that, if followed, will take us to our destination with banners waving. While we shouldn't ignore our 5 natural senses, I believe there are supernatural senses which give us a heavenly perspective that our physical nature will miss. It is not our humanity that gets us into trouble. It is the inhuman sin nature that infests and corrupts God's good earth that is the problem. Are we going to persist in fear and give in to our anxieties or are we going to do everything we can to "flunk out of the school of worry" and live the life of abundance that God has in store for us? Starting an ongoing series of posts on the various terms and phrases I use throughout Thought Renewal. Definitions are sometimes a bit elusive; and one challenge in communication is talking past each other due to the misinterpretation of what the other actually means. So what I mean when I write about this topic incorporates at least those two components. Success has to do with living a life of abundance that comes from the hand of God. When we are enjoying the life that Jesus offers (see John 10.10) we are successful. Yes, there is a pragmatic aspect to success. When we accomplish a certain goal, win a competitive test, reach a particular benchmark, then we have successfully completed the task in front of us. My definitions is broader than that and addresses more the attitude or position of the heart. Success is . . .
and sowing seeds that benefit others. That's good. It speaks to the overflowing life that marks a true follower of Jesus. You see, striving for success is not a selfish endeavor; it is pursuing the life of impact and joy that God intends for each of us. Today, I have a positive mental attitude. I have eliminated criticism and impatience from my life, and replaced them with praise and tolerance. Today, I totally believe in myself. I believe I am capable and worthy of high achievement. Today, I have a big, challenging goal I am working toward. It is adding meaning and momentum to my life. Today, I accept full responsibility for all my actions. Whatever results I achieve, I know they are the result of the thinking I am engaged in. Today, I manage my time effectively. I know every minute is precious and irreplaceable, and must be used to the best advantage. Today, I am pursuing a personal development program. I dedicate at least one hour each day toward improving myself. Today, I value my health, physically, mentally, and spiritually. I am taking very good care of myself. Today, I am a creative person in setting and attaining my goals. Possibilities abound in all my thoughts and actions. Today, I have a service-minded approach toward my employment and fellow human beings. I always to more that what is expected of me, knowing I will receive more of what I want in return. Today, I am excellent at what I do. I believe it is through excellence that I will find my true self. Today, I am effective in all my interpersonal relationships. I believe people take priority over problems, and that they deserve my total respect and attention. Go here for more del.icio.us Affirmations! Did a word study awhile back on "communication." Surprising definition, really. It means to have things in common. To communicate means to share or distribute items so that both parties may enjoy them. What items are to be shared? Words. Good words. Here's a principle to apply from the Apostle Paul: "Let him that is taught in the word communicate unto him that teacheth in all good things." I use this old fashioned translation of the bible (the King James Version of Galatians 6.6) to point out the word behind communicate. It's koinonia, the Greek word for fellowship or sharing. This does not necessarily mean financial support. Yes, we should pay our teachers an adequate salary. But more than that, we can bestow upon those who instruct us - and upon anyone for that matter - a gift of words. Some call this speaking a blessing. I think of it as distributing good words. Isn't this what communication should be about? Every day we have opportunities to give encouraging, nourishing words to others. Every day we have opportunities to practice our communication skills. But distributing good words on a consistent basis is difficult. I've found that I need to monitor two areas of my speech if I'm going to become a better communicator. First, I need to watch for the rise of hurtful words that tear people down. I need to stop the flow of negative words before they dribble out - or gush out as the case may be - and do damage to others. Here's another great principle to apply. The Apostle Peter says that love "covers over" a multitude of sins (see 1 Peter 4.8). In other words, love "puts a lid on it" and doesn't broadcast a failing. When tempted to "share a concern" about another's faults, love zips the lip. Second, I need to be sensitive to the situation of the person I want to communicate with. That is, I need to watch for the green light and say a good word at a good time. Understanding another's needs, pressures, and dreams helps us with what to say and when to say it. Of course, this entails listening. To distribute good words to the right destination at the right time requires receiving the correct information and signals from the other person. So becoming a better communicator not only involves sharing good words, but listening so that those good words can be received at the best time. Do you see your communication as the distribution of good words? What might be preventing you from communicating more effectively? Develop a list of people with whom you want to share good words. Looking forward to sharing with you and receiving good words from you! You’ve heard the story about Anybody, Nobody, Somebody, and Everybody? An important job had to be done and Everybody was sure that Somebody would do it. Anybody could have done it, but Nobody did it. Somebody got angry about that because it was Everybody’s job. Everybody thought that Anybody could do it, but Nobody realized that Everybody wouldn’t do it. It ended up that Everybody blamed Somebody when Nobody did what Anybody could have done. Ouch! Ever get super-charged at an event and make all sorts of commitments only to wake up the next morning and "chicken out" on whatever you decided to do? Making that first phone call or starting that project seems overwhelming in the morning light. Let's "go to the ant" and consider its ways and be wise! First, the ant is self-motivated to work. It has no boss telling it to get going. It is driven by habit and instinct to succeed. God has placed a success mechanism in us as well. We can cultivate that habit. Second, the ant stores up for the future. It works when it can, knowing that winter is coming when it can no longer work. Big clue! We can play now and pay later or we can pay now, save money and build wealth. Third, sluggards, by contrast, work when they feel like it - and they never feel like it! They are full of excuses: "I'll get back to work after a short little nap." And that nap lasts all day long. Like I said, "Ouch!" Fourth, poverty will eat the unprepared alive. Like a bandit, like a thief, it'll take away everything the sluggard has. If we play now and neglect our work, we'll not only pay later but we'll pay with compound interest. Fifth, there's good news! We can change, we can consider the ant and be wise. In fact, we can get wise today! The definition of wisdom is applied knowledge for godly purposes. Success is a choice. It's simply a matter of daily choosing to do those things we know is best for ourselves and those around us. Are we driven by habit and instinct to succeed? We were designed to be. What habits do you need to start or continue to develop? Are we storing up for "winter"? We know instinctively that we should prepare for the future and yet we're full of rationalizations. What excuses are we willing to eliminate from our lives right now so that we can live the life of abundance that God intends for us? I don't know about you, but I want to get wise right away so that I can experience God's favor now and in the days ahead. Let's get wise together. "You're the creator of the HMO plan? Sure you can stay ... For three days!" Why? Because today you have a choice. You can choose to live this day on purpose. And when you make that decision, you put yourself in a position to receive everything that today has to offer. You can make today your lucky day. And that's great news! But how? What's the "first step" to becoming lucky? To continually receive good things in life, you must surrender yourself daily to a worthy cause. I believe your luck increases in direct proportion to the extent that you live your life on purpose in a business or cause that is bigger than yourself. Many people think success is just a matter of chance; that good things in life are flukes (this is not what I mean by luck). People say, "They were just in the right place at the right time." Now that part is true. But what most people don't realize is that we create our own luck by preparing ourselves to be in the right place at the right time. Like in the movie Facing the Giants we must not only pray but prepare for rain. 1st Strategy: L – Look for people to serve. We must take the initiative. This is a mindset, an early life decision that has to be managed every day, as John Maxwell says. It's also a "heartset" - a decision to serve from love in everything we do. The byproduct is that you benefit as well. Doesn't Zig Ziglar make sense? "You can have everything in life you want if you will just help enough other people get what they want." 2nd Strategy: U - Understand, accept, and work the numbers. In any business or cause, some will, some won't, so what, someone's waiting. Truth is, you can't beat the numbers, but it's also true that the numbers can't beat you. Don't treat people as numbers, but if you're going to get lucky you must play the game daily. A game you can win. This is not like the lottery. Winning in Las Vegas is a fluke. Winning in life is not. But it is about working the numbers. 3rd Strategy: C – Commit to consistent activity. John Maxwell, a leadership expert, states that he could spend a day with you and tell you with 95% certainty whether you will be successful. He said the secret to one's success (or failure) is discovered in one's daily agenda. 4th Strategy: K – Know your business well. You don't have to be the greatest at your business or service, just be good. And get better every day. Become excellent at your craft. Of course, it takes hard work. And time. But not as long as you think. 5th Strategy: Y – You decide how fast, how hard, how much. It's a choice. You determine how lucky you get! Work hard. Get lucky. Put yourself in the right position at the right time with the right people. You can have it all when you live your life on purpose. It's Your Choice . . .
You Decide How LUCKY You Get! © 2007, Lyn Perry - Permission to reprint this article with acknowledgment. Photo source: Henry Li at Kronka, utilizing the Creative Commons Deed. but only as a learning experience. but only as the negative feedback I need to change course in my direction. but only as the opportunity to develop my sense of humor. but only as an opportunity to practice my techniques and perfect my performance. but only as the game I must play to win. I am not judged by the number of times I fail, but by the number of times I succeed; and the number of times I succeed is in direct proportion to the number of times I can fail and keep trying!